So missing Salah is out of the question. The concern here is, how do we improve our prayers by praying on time (as soon as the adhaan is called out) amidst our busy lifestyles. [of course, men can go to masajid and that makes accountability much easier but we’ll be talking about this from women-perspective (who usually offer prayers at home)]. First of all, Qada is not considered a late prayer. It’s simply a missed prayer. Missing the prayer intentionally is considered a major sin, unless that is for a legitimate excuse such as sleeping or forgetting (If that happens, pray as soon as you get up or recall). Now lets talk about what is exactly a late prayer! Although it is permissible to offer a prayer by the end of its time, but it is better to do the prayer at the beginning of its time, except for Isha prayer as it is Sunnah to delay ‘Isha a little – till one-third of the night has passed. 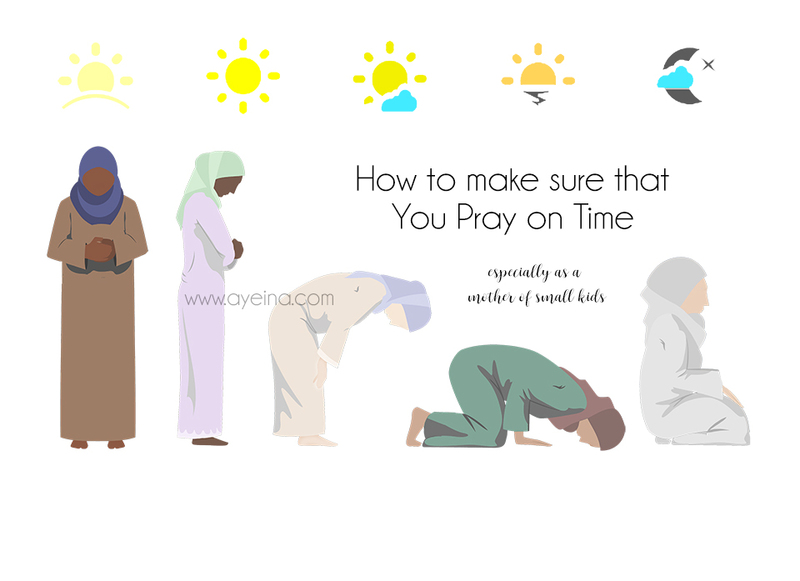 In the case of other prayers, it is better to pray them sooner unless there is a legitimate reason for doing otherwise. After seeing a couple of red marks on the prayer tracker, we were trying to figure out what is making us pray later than the beginning of time and we constantly found ourselves blaming motherhood responsibilities for all that delay! To be honest, our kids won’t carry our burdens for us on the day of judgement nor will anyone else. We will! Only us! So we figured that us blaming our kids and their endless demands won’t really help! But of course that’s easier said than done. Because if you’re a mother of small children (younger than 3-4 years old or 2 kids under 5 years of age), it’s NOT easy! At all! You’re constantly on-duty and responsibilities never seem to end! Babies/toddlers etc. are constantly depending on you for every human need. So a peaceful break is only a dream most of the times. Hence we’ve been trying to figure out how to get kids into this prayer routine with us instead of trying to get away from them for this ideal khushoo time. We tried working on different methods where kids can associate prayer with bonding time as well instead of thinking that this is only a mama-thing. We really want our children to grow up loving the prayer after all. Don’t we? First ask yourself – How serious are you about getting your life back on track? Are you going to schedule your prayers anywhere in the middle of your busy schedule or are you going to schedule your busy lifestyle around the 5 daily prayers? a) sleeping early at night and setting up multiple alarms to be able to get up for Fajr. b) drinking ample water so your body is forced to wake up before sunrise. c) making your surroundings clutter-free and shortening your to-do lists so you are not too exhausted to even stand up for a prayer. 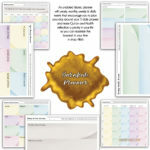 A Prayer tracker is a visual way of tracking your prayers. Color coding it or making a graph of your decline or progress – Studies have shown that in order to form a new habit, you have to do that activity for 21 days (or a whole month). 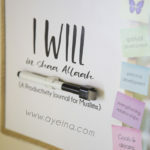 But it all depends on the person, circumstances and most importantly the motivation and persistence – if the habit is not built within a month, there’s always another month in shaa Allah (for eg: if we will see the red marks (praying later than the beginning of time) more than the green marks (praying as soon as the adhaan is called out), then we will reprint the tracker and hence repeat the process in shaa Allah). In a world of constant digital consumption, a way of using technology to your own benefit can become a challenge at time. Find an app that announces the adhaan on your mobile whenever the time starts (especially if the mosque isn’t nearby and you can’t hear the call for 5 daily prayers) – choose any that you may like. 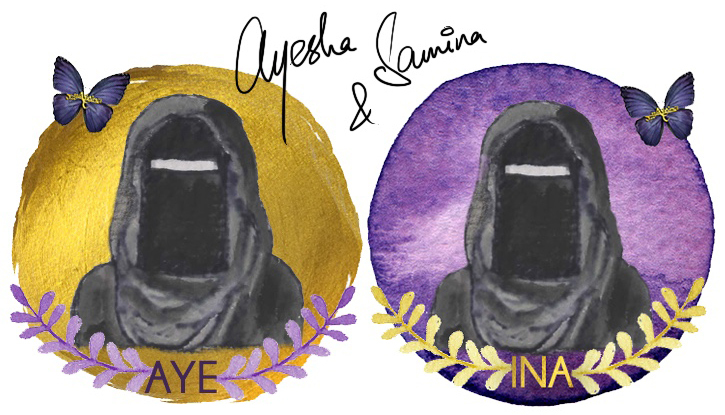 We’re constantly on the lookout for one (as we keep switching from one to another) so if you have suggestions, would love to hear them in shaa Allah. and as Christal Joan suggested: Try switching up places if you don’t feel that sense of excitement praying at the same place each time. 1) Carry the babies while praying – It is not only the sunnah of the Prophet (ﷺ), but also because little kids attached to you/around you are much more calmer alhamdulillah and you get to pray more peacefully – (You can pray while sitting if it gets hard on your back in case you are using slings or carriers to carry a baby while praying). 2) Let the kids hear the adhaan loud and clear so they know that it’s time to pray (if you don’t have a mosque nearby, you can use any adhaan app that notifies you with the adhaan when the time comes – as mentioned above). Then sit with them and quietly listen to it (while answering the call to prayer) – . 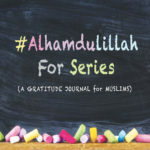 3) Explain this 2nd most important pillar of Islam with love – Use books, toys, crafts (or whatever that works with your child) to teach them what prayer means and how important it is for us to connect to Allah and turn back to Him multiple times a day. 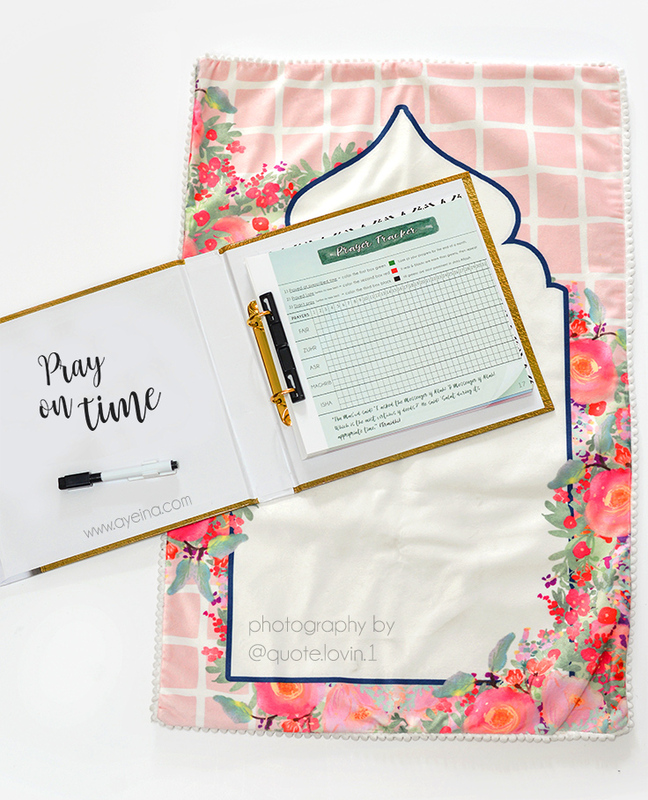 5) Get them their own prayer garments/prayer mats – Getting kids their own special garb for the prayer and their own sticker-ish Prayer Tracker is an awesome way to get them pray with you. 6) Pray with them – They may constantly just do sajdah over sajdah or stand with you and just mumble 😂 They may leave after a while or not want to pray at all. They may just lie down in front of you – looking at you carefully or they may hug you or ride on your back when you prostrate (I personally love that – makes me want to do longer sujood and reminds me of how Prophet (ﷺ) would elongate his sajdah if a child would hop onto his back). All of that is perfectly ok! The idea is to make prayer inclusive for them. 7) Make dua with them – Mine just keeps saying “Allahumma inni naafiyah” but it would do 😀 because one day, in shaa Allah – they will love the prayer and look forward to praying with us or without us. One day we may be praying all alone at home and smile at the thought of them praying in their own homes as well in shaa Allah. THAT would be our peaceful salah! The peace in knowing that we tried our best to instill the love of prayer in their hearts – even if that meant that we had to sacrifice our own peace in the process. One day it will be worth it bi’idhnillah! If you have more tips on praying peacefully and with khushoo as a mother of small kids, please share your experiences below and help everyone out! Next articleWhen Was The Last Time You De-cluttered Your Mind?